Introducing the new MA-nine(TM) Irons by Kick X Golf! 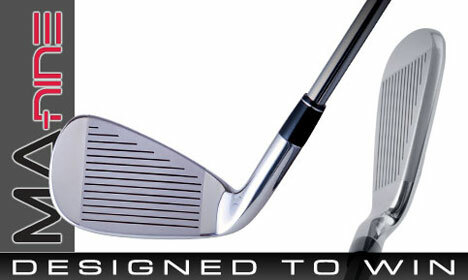 These clubs are made with proprietary 431-9 stainless steel, giving a forged feel, while providing a hotter club face. The MA-nine(TM)'s unique cavity back allows for more forgiveness and a sweetspot that's twice as big as other irons! With maximized playability, distance, and accuracy, reaching the green has never been easier! Engineered by top club designer, Mark Adams, the MA-nine(TM) Irons have a low center of gravity, along with evenly distributed weighting, making the sweet-spot larger and easier to hit. 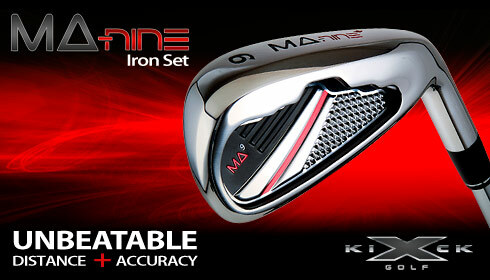 The MA-nine(TM) Irons deliver a level of forgiveness, accuracy, and power most golfers have never experienced before! The MA-nine(TM) Irons are designed to win!